© 2007-2019. 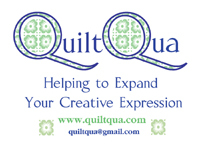 All contents of Quilt Obsession are the property of the owner and cannot be reproduced or copied in any way without express written consent. Please respect my copyright. All of the little stars are now made and last night I started surrounding them with the white squares. It takes less than an hour to get two stars surrounded. There are now 17 of the little stars left to surround with the white squares. From here on out, it’s just nothing but continuous stitching to add the squares, then the connecting red diamonds and octagons and turn this into a finished quilt top. If I can stay focused, and I am pretty intent on doing just that, I could have this finished by the end of next week and be ready to quilt it next weekend. 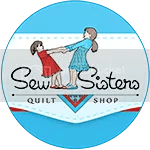 I may take some time out this weekend and get the binding ready for Candy Stars as well as start printing for the Inklingo Periwinkle reverse mystery quilt. 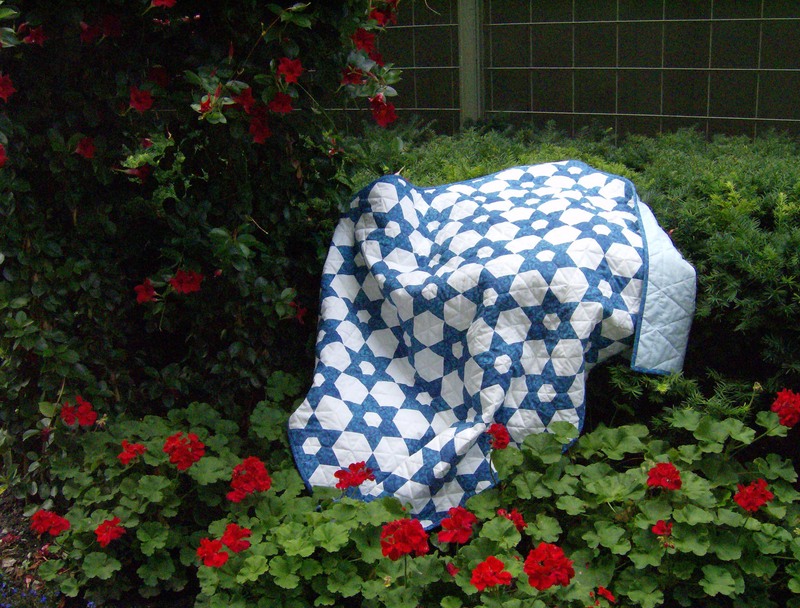 I think I’ve finally decided on the colours I want to work with for the Periwinkle quilt. No big surprise here — it will be pinks, pinks and more pinks. Maybe a mauve thrown in for a little relief from the pink. Maybe. Lessons 1 to 4 are available, free, at the All About Inklingo blog. If you’re here to see who won the giveaway from the April Showers post, the winner will be announced later this afternoon after Baxter picks a winner. “Mum’s Making Stars” is the title of today’s ‘toon. As we were setting up to take pictures of the two little blue stars, he was right there just waiting for his photo to be taken because, after all, there is nothing that we could possibly want to photograph other than him!